Rituals involving hot beverages are found all over the globe. East Asia has ancient tea ceremonies, there’s the bitter and spicy hot chocolate of Central America, and much of the industrialized world can barely open its eyes without a morning cup of coffee. As common as it is for North Americans to meet to discuss business or pleasure over some java, in Paraguay, social gatherings are incomplete without the passing of a gourd and a bombilla from person to person, and everyone partaking of yerba mate. Yerba mate (Ilex paraguariensis) is native to Paraguay, southern Brazil, and northeastern Argentina, and was first cultivated by the Guaraní people, the native tribe of Paraguay. It has been a staple of South American culture since before European colonization. Sometimes simply called mate, the drink is made from the leaves, stems, and small twigs of the tree, which belongs to the holly family. The tree can grow up to 15 meters high, and the leaves are harvested between May and July, after the trees are 3-4 years old. 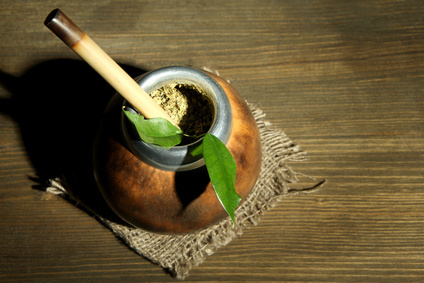 Yerba mate holds its own against coffee and tea, which are well-known for their antioxidants and beneficial polyphenols. Mate contains caffeine, theophylline, and theobromine, three xanthines which are also found in cocoa, coffee, and tea. It has a low tannin content, so it can be brewed strongly without becoming bitter, and although it does contain caffeine, many people find mate gives them a pleasant alertness without the jitters they experience from coffee. Mate is also rich in quercetin and rutin, bioflavonoids with health-supporting properties. The amount of minerals found in mate differs due to soil conditions and seasonal fluctuations, but generally, it’s a source of manganese, iron, potassium, zinc, and chromium, along with vitamins C, B1, and B2. Yerba mate sports an impressive portfolio of health benefits. It helps support healthy blood lipid levels, may be an effective weight loss aid, and also exerts anti-cancer properties. Studies demonstrate that yerba mate suppresses adipocyte differentiation, reduces inflammation and triglyceride accumulation, and protects against oxidative damage to LDL particles. Animal studies show that it ameliorates some of the detrimental metabolic and physiologic effects of a high-fat diet, including reduction of visceral adiposity, decreased buildup of fat in the liver, reduced body weight, and improved regulation of blood glucose and insulin signaling. For these reasons, yerba mate may be especially helpful for diabetics. 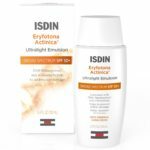 Moreover, mate has been shown to be a potent inhibitor of glycation, and thereby may protect against the formation of tissue-damaging advanced glycation end products (AGEs). The mechanism by which mate may aid in weight loss is by upregulating fatty acid oxidation, and facilitating more energy coming from fat, rather than from glucose, during exercise. A small, double-blind crossover study involving healthy, young adult males and females showed that, compared to placebo, acute ingestion of yerba mate resulted in significant increases in fatty acid oxidation and energy expenditure derived from fatty acids during sub-maximal intensity exercise. The increase in energy coming from fat was not associated with differences in oxygen consumption, peak power, or blood lactate concentration, suggesting that, combined with yerba mate ingestion, the exercise mobilized more of the subjects’ fat without compromising athletic performance or power output. Interestingly, the lower intensity efforts resulted in greater fatty acid usage, which could be a boon even for people who are unable to engage in high-intensity activity. Although it’s delicious on its own, yerba mate is often brewed with other herbs for flavor and medicinal properties. Mint and lemon are common additions. It is also frequently consumed as mate cocido, with the leaves and twigs having been toasted, which lends the brewed beverage a nutty and slightly smoky flavor. It is usually consumed simply, just with hot water, but cold mate is also popular, as are additions of sugar and milk. With so much going for it, it’s no wonder yerba mate is becoming easier to find at regular supermarkets, in loose form as well as in teabags. It’s every bit as much a “medicinal beverage” as green tea, and it’s slowly making its way to the forefront for health-conscious consumers.